My chainline is 42 mm, in 19T wich sprocket I should buy? Te flat or the dished? It should'nt make a huge amount of difference. It also depends on the amount of chainrings that you are running on the front. Because of your chainline the flat one would fare a bit better but it wont make a huge amount of difference either way. Does this item come supplied with both gear chain pull options for the indicator chain. That is both the plastic roller and fulcrum lever arrangement and the traditional right hand axle nut with inspection hole as pictured. Yes, what you see in the photo is what you should receive. You could re-space this down if you wanted to, the axle would protrude from the frame a long way though. but with a 119mm OLD. Can you order one for me? 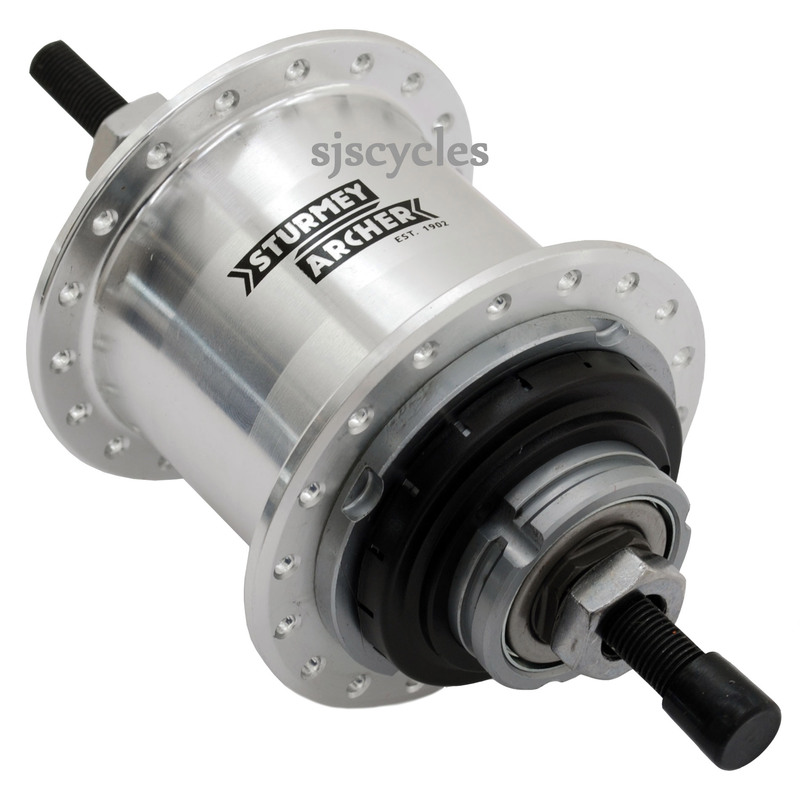 This hub is not available with an OLD of 119mm, it is only 2mm large however so will still fit. Your frame should easily be able clamp down enough to hold the hub tight or alternatively if you were to fit a 2mm washer to the axle you should still have plenty of thread to get the nuts done up fully.